Homes identical to ours that are “stick-built” on site by a contractor cost between $175 and $300 per square foot in Calfornia. These are not manufactured homes or “manufactured modular” homes. They are regular stick-built houses that are simply stick-built off-site in a high tech production facility. The quality will be better than a comparable home built on-site, yet because the factories buy materials in bulk and use mass production techniques, you save BIG money. Finally, through off-site construction, you can utilize the same purchasing power and production techniques for your single custom home that large production builders, such as KB Homes™ and Toll Brothers™ use for their developments. Our off-site built homes are constructed to the same building codes as homes that are built on-site, and they are treated the same by major lenders, insurers, appraisers, and the department of real estate. They also have the same or better appearance and can have all of the same beautiful design features that you would expect. Discover the building technique that is already the norm in much of Europe, Japan, and the Eastern United States. Let Ecomodular Homes’ experienced off-site construction professionals help you build your dream home now. Your search for the right modular homes and prefab homes comes to an end at Ecomodular Homes. The best California modular homes are now available, as our manufacturers have successfully combined both quality and affordability in the off-site built homes that we sell. If you want a better alternative to a home built on-site or a manufactured home, then you can rely on us, as we have proven track record in helping people find the best prefabricated homes for their land commensurate with their personal needs and budget. 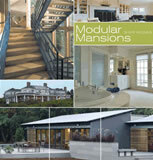 In addition, Ecomodularhomes.com is all set to provide you the most comprehensive house building solution. From obtaining the necessary local government permits, to finding a local contractor, to doing the set and finish work - you will always find our experts on your side. At Ecomodular Homes, we have experienced building consultants who will guide you through the total construction process. This unbeatable feature has made us the most sought after destination for modular homes or off-site built homes. And thanks to our excellence in providing great I-Code homes and affordable pricing and top-class personal service, we are enjoying superb customer loyalty and repeat buyers. We have a well-developed service network for selling quality modular homes, prefab homes or Irontown homes throughout California and other western states in United States. So, no matter wherever you are in the West, just let us know your specifications. The best part of our modular homes and prefab homes is that they are built in conformance with the Uniform Building Code (UBC) and/or International Building Code (IBC). So, our California modular homes are built the same or better from the traditional site-built UBC homes in quality and craftmanship. The other type of factory-built homes called manufactured homes, are built in accordance with a different building code called the HUD code. But the HUD-compliance manufactured homes can be more limited in architecture and not as easy to appraise due to less favorable lender guidelines and financing options. That's why we have opted for selling UBC and IBC modular homes and prefab homes as opposed to the HUD code type of homes known as manufactured homes. Apart from attractive designs, the UBC homes that we offer give you more value. Our modular homes and prefab homes facilitate faster and more efficient construction which means that you are about to experience a less hassle house-building process. Additionally your home will have excellent energy efficiency and strength. Our prefab homes are available with better financing and loan packages, too. 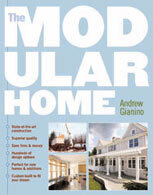 Choose the modular homes that we offer today and become a leader in better home building. Land and Home Packages are Now Available! Disclaimer: The information contained in this web site is general in nature and subject to change at any point in time. As such, it may not necessarily apply to all situations. Also, some pictures shown with optional design and decorative features for model home purposes only.